There has been an effort in the support community as a whole over the past decade to enable customer self service. It used to be in an effort to save money on labor costs, but recently it has been pushed by customers who want to be more self sufficient. Customers have asked for information that is available 24 hours a day, 7 days and week. They also want to have an environment that allows them to interact with other users. (The Winshuttle Community is our home for customer interaction and I will talk about that in another post.) The call from Winshuttle users has been, “Help me expand the use of Transaction,” so we’ve made an effort to use examples and showcase customer use cases that are outside of the commonly used transactions. The Winshuttle WISE Knowledge Base allows users to go to a very specific solution if they are looking for a quick answer. They can also explore many different ideas and transactions by using the related articles links. As the WISE Knowledge Base grows, it will be more integrated into the case resolution process. If a question arises in a case that is possibly going to apply to more than one user, a WISE article will be created in reference to the case. A link to the article will be sent to the user that started the case as the resolution. Users can also comment on individual articles, rate articles, and ask questions that can be used to create articles. We want this to be the first stop for all Winshuttle users, whether they have a support issue or just want to see what other users are up to with Transaction, Query and the rest of the Winshuttle products. Check out the WISE Knowledge Base at wise.winshuttle.com and our Winshuttle Community site. 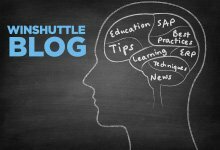 If you have comments or feedback, you can leave them here or email them to chad.bates@winshuttle.com.